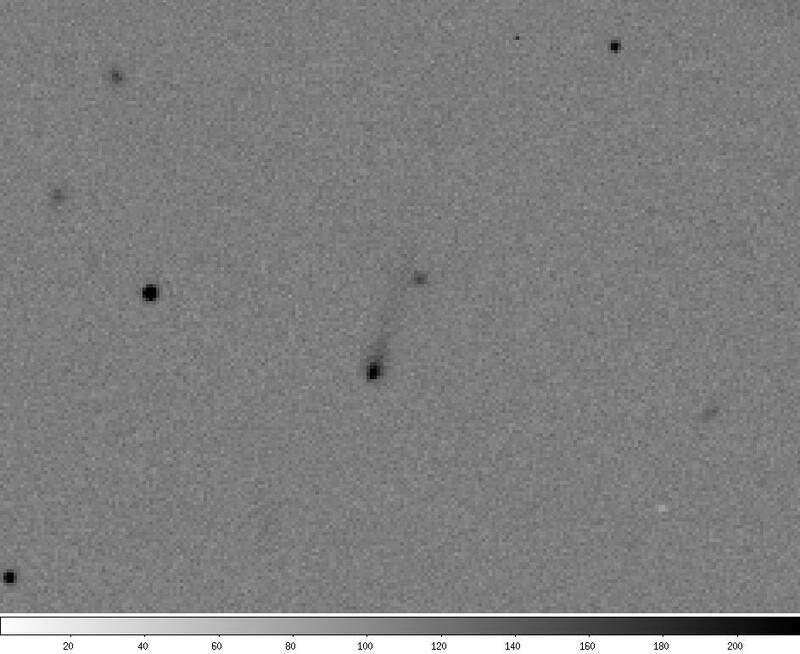 This image is a single 60 second R-band exposure obtained with the 2.3-m Bok Telescope at Steward Observatory on Kitt Peak on 2011 October 24 by R. S. McMillan and J. V. Scotti with the assistance of operator D. Means. 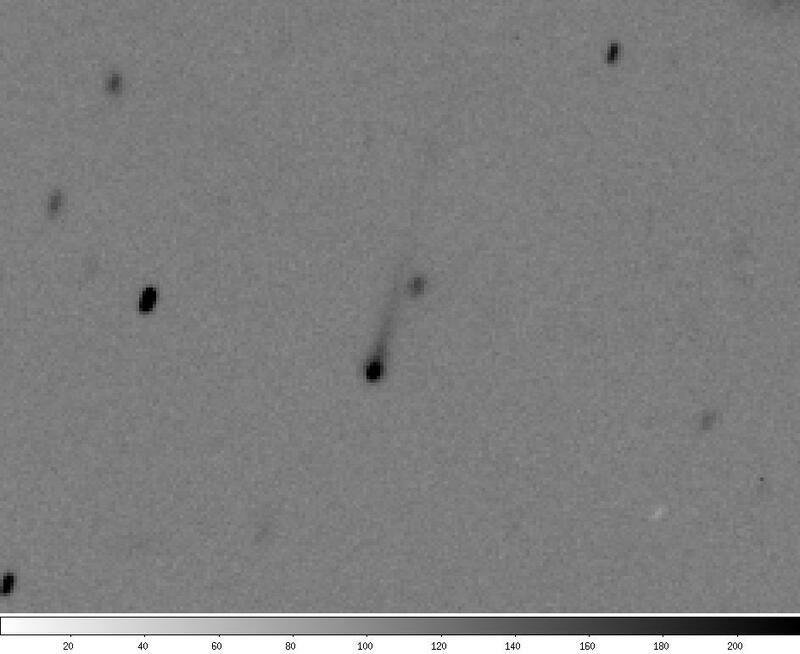 This comet was discovered by Spacewatch observer Terry Bressi on the night of 2011 October 24 UT. This image is the sum of 5 R-band images totaling 300 seconds of exposure with the 2.3-m Bok Telescope on 2011 October 24 UT. The coma is about 5 arcseconds across and the tail measures about 0.51 arcminutes in position angle 254 degrees.